While online retailers often rely on trucks to optimize speed of delivery, they also recognize that low costs are becoming more important than ever as technology makes it easier for consumers to quickly compare prices on their smartphones. That could push e-commerce firms toward greater use of intermodal, said David Yeager, CEO of Hub Group, North America’s second largest intermodal carrier. Hub Group ranks No. 8 on the Transport Topics Top 100 list of the largest for-hire carriers in North America. One retailer agreed that price is paramount. “Brand has less value, especially in a marketplace such as Amazon. Customers are driven to shop by price,” said Craig Barnell, co-founder and general manager at Fishers Finery, a retailer primarily selling clothing and accessories made from silk, cashmere and bamboo in China and Italy on Amazon.com, eBay.com, Jet.com and its own website. Amazon is no more concerned with selling a Fishers Finery product than any other seller, “so cost control equals survival for us,” he said. Barnell turned to the Asia-Memphis Express, a less-than-container load service operated by Averitt Express, to manage his middle-mile costs. Averitt contracts with China International Freight to arrange transportation from Asia to the Matson terminal at the Port of Long Beach, Calif. From there, the container travels on a BNSF train to Memphis, Tenn., and Averitt Express drays it to the destination. “I’m averaging port to door in 18 to 21 days. I couldn’t believe that it leaves from Asia on the first of a month, clears customs in Memphis and gets to my warehouse in three weeks. It didn’t happen just once, it happens hundreds of times. Like clockwork, it’s always there,” Barnell said. Charlie McGee, Averitt’s vice president of international solutions, said the Asia-Memphis Express service has grown at a 20% annual rate in recent years. Based on demand, Averitt will launch an Asia-Dallas Express service from Shanghai, China, later this year. Averitt, which is based in Cookeville, Tenn., ranks No. 31 on the TT100 list of for-hire carriers. In addition to the Averitt service, BNSF points to its logistics parks as attractive to e-commerce customers. “Transportation costs represent a significant portion of total distribution and logistics expenses. By locating distribution centers or warehouses at one of our logistics parks, customers can reduce their transportation costs through lower drayage charges and more truck turns, enabling them to burn less fuel and reduce their carbon footprint,” BNSF spokeswoman Amy Casas said. However, Fishers Finery’s Barnell said one key drawback is the arcane system of tracking and tracing containers on the railroad. Intermodal marketing companies counter that the tracking technology is quickly catching up to truckload. Hub Group, XPO Logistics, Schneider and C.H. Robinson use tracking devices and sensors on their containers to provide GPS coordinates and determine whether they’re full or empty. In February, J.B. Hunt Transport Services Inc., North America’s largest intermodal provider, announced a partnership with Orbcomm to equip more than 90,000 intermodal and over-the-road trailers with solar-rechargeable GPS tracking devices and sensors. J.B Hunt ranks No. 4 on the TT100 list of for-hire carriers, while XPO and Schneider rank Nos. 3 and 6, respectively. C.H. Robinson ranks No. 5 on the Transport Topics Top 50 list of the largest third-party logistics companies in North America. Americans spent more than $400 billion on items purchased online in the second quarter of 2016 through the first quarter of 2017, an increase of between 70% and 80% compared with four years earlier, according to data from ComScore Inc. and the U.S. Census Bureau. E-commerce sales have grown at rates ranging from 18% to 23% in each of those four quarters compared with year-ago levels while overall retail sales increased only 3% to 5% during the same period. FedEx ranks No. 2 on the for-hire TT100. The U.S. Census Bureau recently reported that electronics and appliance sales accounted for 19.5% of the e-commerce market share, followed by clothing and clothing accessories at 9.5%, and furniture and home furnishings at 6.4%. ComScore reported that sales of furniture, appliances, home and garden supplies and exercise equipment grew more than 15% in the first quarter of 2017 compared with the same period last year. At e-commerce company BuildDirect, the penetration into heavier items came as no surprise. The online retailer, which sells larger home improvement and outdoor items, also recognizes consumers recently have become more comfortable buying these products online. BuildDirect imports some of its inventory through the Port of Prince Rupert, British Columbia, and ships the containers on Canadian National Railway to Chicago. Chief Operating Officer Jim Hourigan said the goal is to bypass congestion at the Southern California ports. BuildDirect operates distribution centers in Atlanta; Bolingbrook, Ill.; Carson, Calif.; Cranbury, N.J.; Garland, Texas and Richmond, British Columbia. 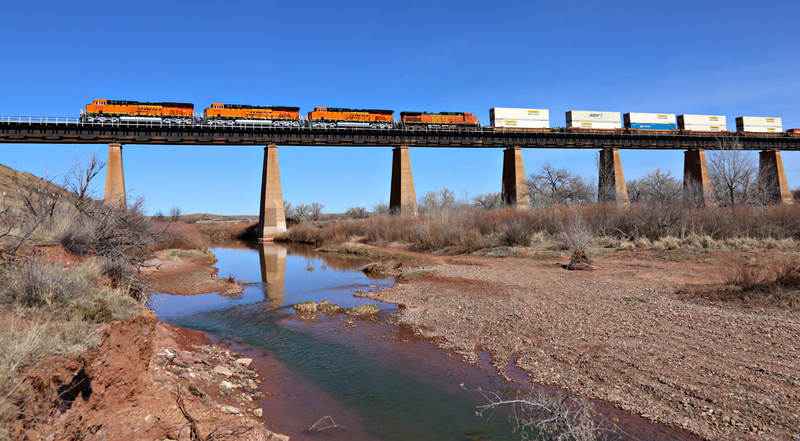 Despite the advantages of intermodal, some online retailers avoid rail transportation altogether because they believe it’s too slow to satisfy the “now, now, now” attitude of their customers. In certain lanes, intermodal is about 24 to 36 hours slower than truckload with team drivers. Zulily Inc. uses only trucks to move products to distribution centers in Reno, Nev., Columbus, Ohio, and Bethlehem, Pa., citing velocity as the key factor in its transportation mode decision. The retailer generated $1.5 billion in sales in 2016 and $359 million in the first quarter of this year, it disclosed to Transport Topics. Ingram Micro Commerce & Fulfillment Solutions — a third-party logistics company that provides inventory management and order fulfillment — said trucks account for about 80% of transportation for its customers. The remaining 20% is mostly on airplanes with virtually no business in the intermodal space. The Irvine, Calif.-based company ranks No. 34 on the TT Logistics 50. Since most online retailers choose slower containerships to import from overseas, Shellnut said many of them wish to speed up the middle and final miles. Trucks also provide more flexibility than trains should there be a last-minute change to the destination, she and other experts pointed out. Even BuildDirect acknowledged that 80% of its inventory moves on truckload or less-than-truckload and only 20% on the railroad, according to Hourigan. Travis French, vice president of operations at Geodis, countered that online retailers won’t spend more to receive faster service in most situations. The Brentwood, Tenn.-based company, which provides e-fulfillment services, ranks No. 12 on the TT Logistics 50. “What they do want is an option for a faster service when they need it. And whether or not they need it is very situational based on their inventory setup,” French said. He added that about 75% to 80% of the retail inventory managed by Geodis travels on the rail to its 19 U.S. campus locations, including Chicago, Indianapolis, Kansas City, Mo., St. Louis, Dallas, Memphis and Nashville, Tenn., and Columbus, Ohio.